Venice. A city like none other in the world. It’s romantic, it’s old, it’s beautiful, but most of all it’s mysterious. It’s something impossible to describe in words. The streets echo and the tiny alleyways have an eeriness that can only be experienced. It has an incredible old world charm and the city has a feeling that is completely unique. San Marco Plaza- Central plaza in Venice. Island of Burano – A small island only a short ferry ride from Venice, filed with colorful houses and a producer of blown glass. Get lost in the small alleyways – This will happen no matter how good you are with a GPS. The streets are very difficult to navigate and it is no challenge to lose your way. Rialto Bridge- One of the more touristy sights but worth a visit, especially for sunrise or sunset. Cuttlefish Risotto- Cuttlefish is a common ingredient in Venice and serves not only as a protein source, but the ink is used as a sauce in many dishes as well – Trattoria da Romano on the island of Burano is well worth the trip to try the cuttlefish risotto. The restaurant is filled with artwork artists traded for meals and it has a classical Italian setting. 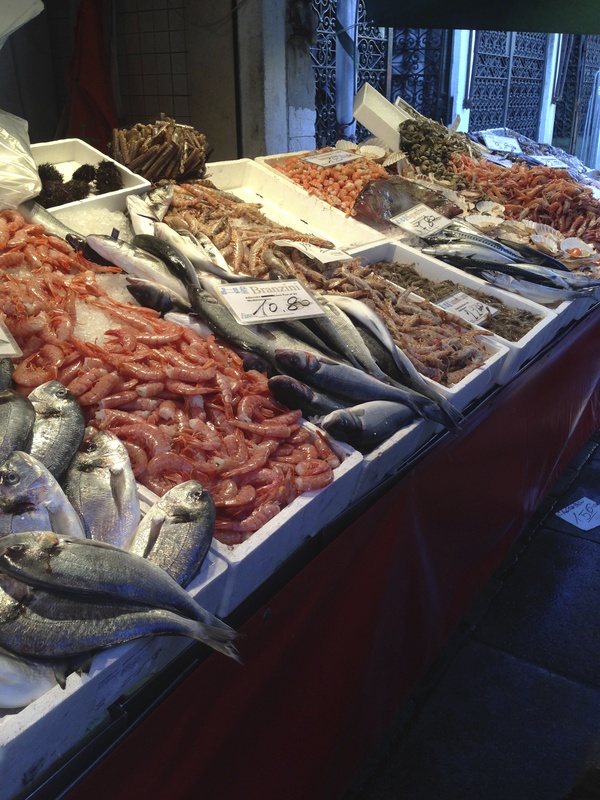 Fresh seafood – Venice has incredible seafood as it is a coastal city so make sure not to just try the pasta. 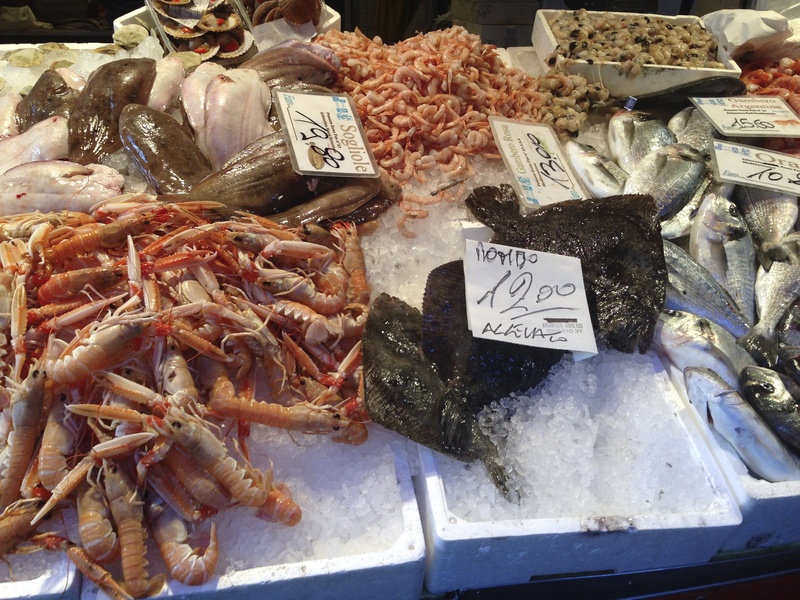 There are plenty of seafood markets where you can buy your own catch and take it home to cook. Pasta- This one is a given, but well worth it. Try a small Trattoria such as Da Carletto or Da Mario Alla Fava. Italian wines – Try wines from local northern Italy regions. Cheeses- Go to local delis and ask for recommendations on what to try. Around town: The city is very small and walking is one of the only ways to get around. Water Taxi : A water taxi can be taken from the train station to your destination and to San Marco Plaza. EuroRail Train: A train can be taken into the city but there are two major stations so make sure to double check before booking tickets. There is also a small airport, but the train can be an easier option. I thought Venice was going to be completely different. I thought it would resemble Florence with canals. But the city felt very different. Venice has a feeling of supreme importance and mystery. Everything about it can take your breath away. Saint Mark’s Basilica was the most breathtaking building I have ever been in. I grew up catholic and have seen more cathedrals than anyone could count, but this was different. The magnitude of the cathedral truly is amazing. The small streets and waterways are eerie and it is easy to find yourself lost. It’s age shows and upon arrival you feel as though you are stepping backwards in time. The city can get overcrowded during tourism season and this can ruin the trip so only travel here in the off-season. The tourist sites can be overwhelming with tacky souvenirs and chain stores. The city has an incredibly low population so almost everyone there is a traveler. Be careful to avoid tourist trap restaurants. There are incredible restaurants and there are terrible tourist traps so be cautious not to eat close to the big monuments like St. Mark’s Basilica. I’d also highly recommend staying at an inn or bed and breakfast to avoid even more tourists at a hotel. Overall Venice is one of the most incredible and unique places in the world, just be cautious to avoid other tourists and scams focused on tourism.